We're looking for reports from yesterday's Raw show in Nottingham, England, today's Raw show in London, tonight's ROH show in Lowell, MA and tonight's MLW show in Cicero, IL to newstips@wrestlingobserver.com. WWE's return to Saudi Arabia ended up being almost as much of a mess as most expected it to be. A tag team main event with the combined age of 206, two of the promotion's biggest stars pulling out of the show, Hulk Hogan returning to WWE television without the company really promoting it in advance, Brock Lesnar once again becoming Universal Champion, and Shane McMahon winning the World Cup tournament were the most notable moments from a show that is on the list of the most controversial events in WWE history. The fallout of Crown Jewel is the lead story in the new issue of the Wrestling Observer Newsletter. 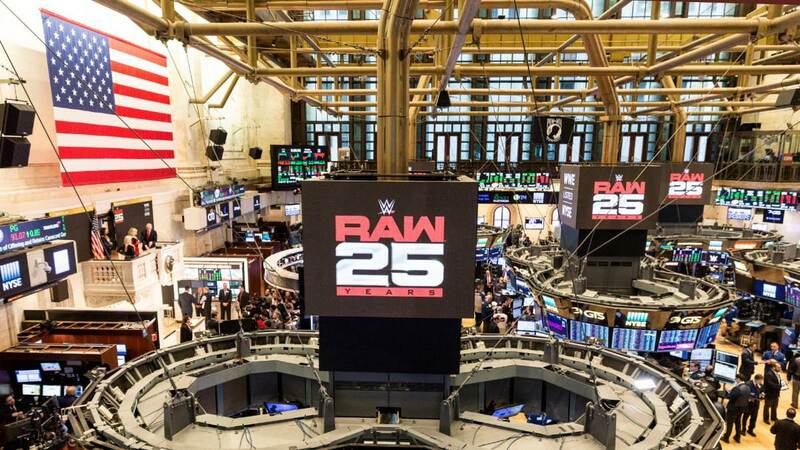 Look at the returns of Hulk Hogan and Shawn Michaels, Brock Lesnar's new contract, Shane McMahon's World Cup win, the stock price, network cancellations, and Renee Young on tour. Look at Survivor Series and TLC plans, plus match-by-match coverage with star ratings and poll results. Read the run down of the UFC's schedule for the first three months of 2019, including the ESPN strategy to get people to subscribe to ESPN+, and plans for matches on the early shows of the year. Also look at WrestleKingdom 2019, with the lineup announced, other matches expected, the tag team tournament, plus full coverage of Power Struggle with match-by-match coverage, star ratings and poll results. Read coverage of the end of the overrun and what it means, WWE buying tape library, WWE stars get married this past week, Hulk & Linda Hogan TV special, new NXT Takeover match, details on the WWE tryouts in Germany and notes on those who were there. Look at the career of Jose Lothario, one of the biggest stars in the history of Texas wrestling. Run down UFC 230, including PPV numbers, TV numbers, lessons of the show, plus match-by-match coverage with poll results. I want to welcome Jim Valley and Fumi Saito to this web site. Saito is one of the foremost historians and all-around experts on Japanese wrestling, having written about it since the 70s. They will do the Pacific Rim podcast and it's an in-depth look at the scene there and as well as the culture there and why things happen the way they do. Having both with this site is a great addition as everyone will find out in the months to come. We're still getting details on this, but there are changes going on with the New Japan AXS announcing crew. 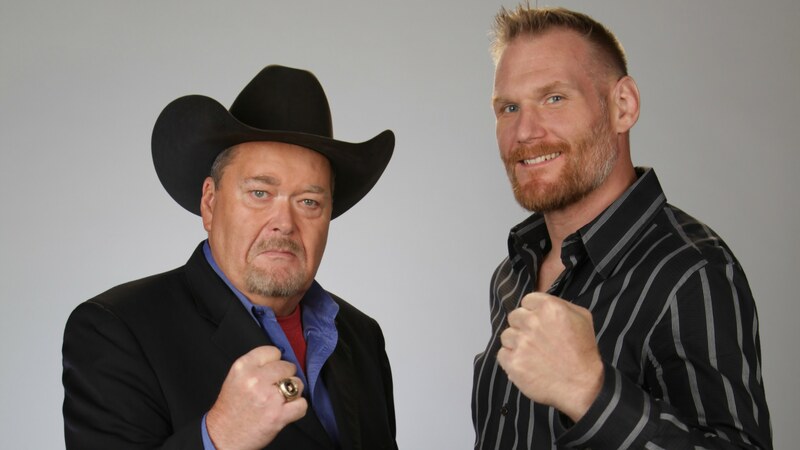 Josh Barnett will be out shortly. We have info on Jim Ross in today's Observer but he is also going to be out shortly at least temporarily. AXS hasn't confirmed Barnett. Ross was to be finished temporarily at the end of the year due to WWE not allowing him to sign a new deal but he may be out with Barnett before the end of the year. Ross is likely to be a free agent in April. Not sure why, since the market has been up, and there hasn't been any real news that should have triggered this, but WWE stock fell $5.21 per share to $70.07 today. WWE has fallen out of the top streaming services. There will be several WWE personalities including John Cena, Dwayne Johnson, Nikki Bella and Nia Jax up for People's Choice awards with the ceremony airing Sunday at 9 p.m. on E!. WWE was especially pushing Nia Jax to win the Gamechanger of the Year award. For Saturday's show in Denver, Brendan Fitzgerald and Paul Felder will be the announcers and Jimmy Smith, Karyn Bryant and Rashad Evans will be the studio analysts. Weigh-ins are 7 p.m. Eastern on FS 1 tomorrow, with coverage on Saturday with the pregame show at 7 p.m. live fights at 8 p.m. and post-fight show afterwards. Conor McGregor, who somehow blames ONE for killing the UFC flyweight division, told the promotion on Twitter that they need to sign the division. Antonina Shevchenko, the sister of Valentina Shevchenko, makes her UFC debut on 11/30 in Las Vegas against Ji Yeon Kim. Kim replaces Ashlee Evans-Smith. Brian Cage vs. Sami Callihan was announced for Impact's 11/11 TV tapings in Las Vegas at Sam's Town Casino. MCW tomorrow night in Joppa, MD and Saturday night in Hollywood, MD with Ted DiBiase, Rosa Mendes and Boogeyman. Nick Aldis defends the NWA title against Brandon Scott in a 2/3 fall match on Friday night. Boogeyman faces Ken Dixon on Saturday at the Hollywood Volunteers Fire Department. Pro Wrestling Revolver on 12/28 in Des Moines, IA with a one-night tournament for their heavyweight title with first round matches of Rich Swann vs. Larry D, Marko Stunt vs. Nick Gage, Jessicka Havok vs. Matthew Palmer plus Sami Callihan & Dave & Jake Crist vs. Mat Fitchett & Davey Vega &ACH, PCO vs. Jimmy Jacobs and Dezmond Xavier & Zachary Wentz vs. Shane Strickland & Jason Cade. SKM Pro Wrestling on 11/30 in Ohsweken, ONT at Gathering Place by the Grand with Sabu vs. Warhed, Colt Cabana vs. Ricky Willdy plus an appearance by Honky Tonk Man. Magnificent Championship Wrestling on 12/1 in Brantford, ONT at the Dunsdon Legion with Colt Cabana. Pure Wrestling Association on 11/30 in Guelph, ONT at the Red Chevron with Homicide and Josh Alexander and 12/7 in Duncan, BC at the Eagle Hall. HPW on 11/17 in Hamilton, ONT at Dom Polski. WAC on 11/18 in Everett,WA at the Normanna Lodge #3 with Fred Yehi and Holidead. Defy on 11/24 in Portland, OR at the Hawthorne Theater with Matt Cross. DEC on 12/8 in Hermiston, OR at the Eastern Oregon Trade and Event Center with Kid Khash vs. Tom Lawlor. VIPW on 11/23 in Victoria, BC at the Royal Canadian Branch 91. All Star Wrestling on 11/24,12/8 and 1/26 in Surrey, BC at the Cloverdale Fairgrounds. Rickshaw Wrestling on 2/8 in Vancouver, BC at the Rickshaw Theater. Smash Wrestling on 1/13 in Kitchener, ONT at the Tannery Event Centre in a TV taping for The Fight Network. Greektown Extreme Wrestling on 12/16 at the Eastminer United Church with Tajiri, Tommy Dreamer, Mikey Whipwreck and Jazz. AAW on Saturday night in LaSalle, IL at the Knights of Columbus has Sami Callihan & Jessicka Havok vs. Brody King & Jimmy Jacobs, Trevor Lee defends the Heritage title against Rich Swann in a 2/3 fall match, Penta 0M & Rey Fenix vs. Dezmond Xavier & Zachary Wentz, Kylie Ray vs. Allysin Kay, Eddie Kingston vs. Mance Warner, Marko Stunt & Ace Romero vs. Curt Stallion & Jake Something, Quinn McKay vs. Allie Kat and Myron Reed vs. Trey Miguel vs DJZ. AAW is also doing a poll question on its Twitter account regarding a 12/29 show they are running which is the same day as a WWE show in Chicago. They want fans to vote on whether it should start at 2 p.m. or 7:30 p.m.
AAW has also announced an 11/24 show in Chicago at the Logan Square Auditorium with Kimber Lee vs. Kylie Ray, Fred Yehi vs. Mance Warner and Davey Vega & Mat Fitchett vs. Jake Something & Curt Stallion plus ACH, Sami Callihan, Eddie Kingston, David Starr, Jeff Cobb, Trevor Lee, Jessicka Havok, Rey Fenix, Jimmy Jacobs, Josh Briggs, Matt Sydal, AR Fox, Myron Reed, Laredo Kid, Colt Cabana, DJZ, Trey Miguel and more. Cross Body Wrestling on 12/15 in Kitchener, ONT with Michael Elgin. USA Championship Wrestling has officially announced a TV deal with Tubetown to get the show in Arkansas, Tennessee and parts of Missouri. We had previously reported the deal but it was officially announced by both parties this week. USA Championship Wrestling is run by Bert Prentice and does a studio show out of Oman Arena in Jackson, TN that features Jerry Lawler Bill Dundee, Tony Atlas, Matt Riviera, Kevin Zion and The Starr Twins. The show airs on Tubetown stations at 11:30 a.m. Central on Saturday mornings and 6:30 p.m. Central on Monday nights. Warrior Wrestling on 1/5 in Chicago Heights, IL with Brian Cage vs. Bandido and Matt Sydal & Ethan Page vs. Penta 0M & Rey Fenix. OWA on 12/16 in Ottawa, ONT at the Navan Memorial Centre. KSW, which is now on DAZN, has a 12/1 show in Gliwice, Poland with Mamed Khalidov (34-5-2) vs. Tomasz Narkun (15-2) plus a bout for the vacant featherweight title with Mateusz Gamrot (14-0) vs. Klever Koike Erbst (24-4-1). Austin Aries vs. Flip Gordon for the WSW title takes place on 11/25 in Perth, Western Australia. Bandido vs. Mick Moretti has been announced for the 11/26 show in Sydney. Tessa Blanchard vs. Indi Hartwell was announced for MCW on 11/25 in Melbourne, Australia. Shazza McKenzie, Emi Sakura and Makoto are booked for Singapore Pro Wrestling on 12/14. Brutus Beefcake appears for CWE tomorrow night in Kindersley, Saskatchewan at the Elks Hall. He will be the outside the ring referee. Dallas Championship Wrestling tonight in Fort Worth has Delilah Doom, Eli Everfly, Thunder Rosa, Brian Cage, Shotzi Blackheart and more. Sabotage Wrestling on Saturday in Austin, TX with Sammy Guevara vs. Thunder Rosa Delilah Doom vs. Shotzi Blackheart, and more. Doom, Allie Kat, B-Boy and Shotzi Blackheart. Rodney Mack interview on the Duke Loves Rasslin podcast. A story on Mavs Gillis announcing New Japan Pro Wrestling shows.